A street at Congress and Leamington was named after Lillian Drummond, 94, on Oct. 22, 2015. 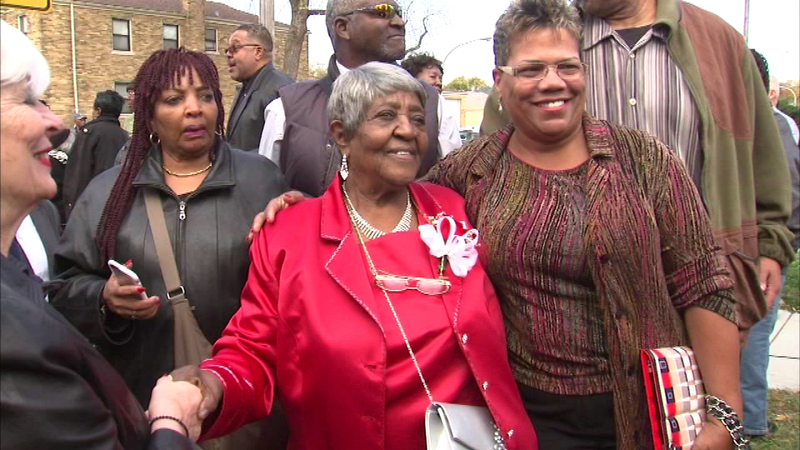 CHICAGO (WLS) -- A Chicago street has been renamed in honor of a woman called the "angel of justice" who spent her life fighting for the poor. Lillian Drummond is 94 years old. On Thursday, a street at Congress and Leamington was named after her. Drummond is known for being a leader in the struggle for social justice in Chicago's Austin community.